What Do You Know About the Driftwood? Posted on October 31, 2007 by Kathy T.
I’m doing a little research on the Driftwood Inn halfway/transition center. Can you give me some insight on where to look to find more information about it? Who runs it? Partnerships? Community benefits? etc….. Frankly, I don’t know anything at all about it. Without starting a riot, does anyone have any information they can share? Booooooooooo. Happy Halloween to all you ninjas, witches, grumpy old men, fairies, angels, devils, gypsies, pirates, princesses, and Spidermen out there. 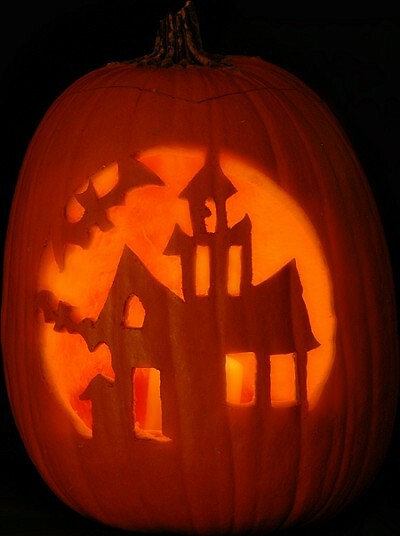 Trick or Treating is tonight so be careful tonight since there aren’t too many sidewalks for our young’uns to use. City publicist says trick-or-treaters start around 6:30’ish and wrap it up around 8:30 p.m. The mayor says he thinks the little monsters may be out until 10:00 p.m., but is hoping for an end time by 9:00 p.m. LaVergne does not set the hours for Trick-or-Treating. Read more from the Daily News Journal here. Wal-Mart coming to La Vergne? For those of you who don’t read comments on old posts, you may have missed a prediction I made on the story about surveillence camera’s and road work. I think the retailer that La Vergne is trying to get on Waldron Road is Wal-Mart, and I think that’s a good idea. I just wanted to bring this back to the top so you can tell me, what’s your opinion? Posted on October 30, 2007 by Kathy T.
I heard at our business meeting today about a fantastic old home about to come on the market in Smyrna. I’m only writing about it here because I LOVE those old homes with lots of history and character! It’s called the “Coleman House” and could be described as Smryna’s first bed and breakfast. Back when farmers would bring in the cotton*, the one hotel in town filled up so the owners of the Coleman House would rent the three upstairs bedrooms. The home was built in the early 1900’s and has more than 3,000 square feet. This gorgeous 5-bedroom home has all hardwood (under carpet in some rooms), oak handrails on the stairs, a covered deck, a kitchen that could be remodeled, new roof, new siding, and a front porch that’s over 40×10 in size. The price will be $254,500. If you’re interested in historical homes, please comment with your email (that’s not published) and I’ll arrange a tour! I’ll post a photo once online! *Think Places in the Heart… what did they call the little girl?? Possum? Posted on October 28, 2007 by Kathy T.
Hopefully he and his brother won’t try it again! 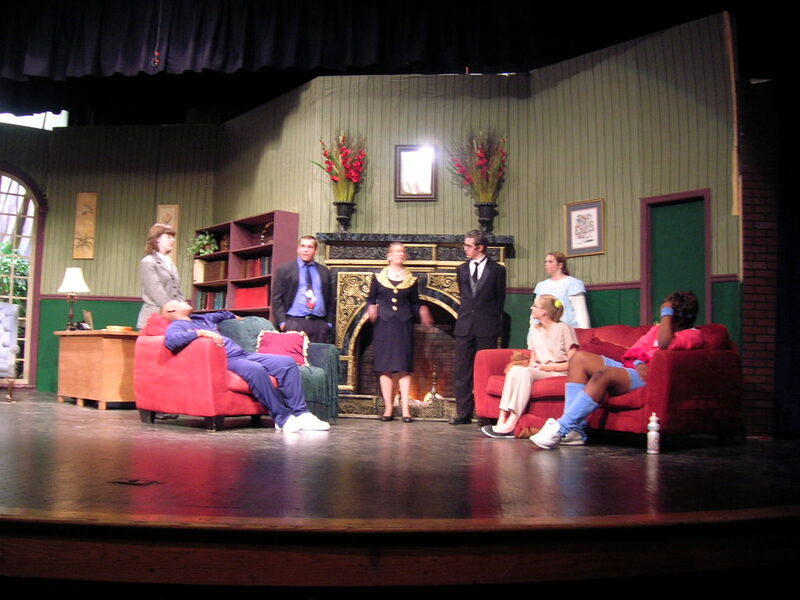 Posted on October 27, 2007 by Kathy T.
The drama classes at LaVergne High School are presenting the play, Death by Chocolate. The performance opened this past Thursday and will run until next Saturday. Show starts at 7:00 p.m. in the LHS auditorium and cost is $5 p/ticket. The students have been rehearsing for this play for a solid two months and do such a fantastic job! 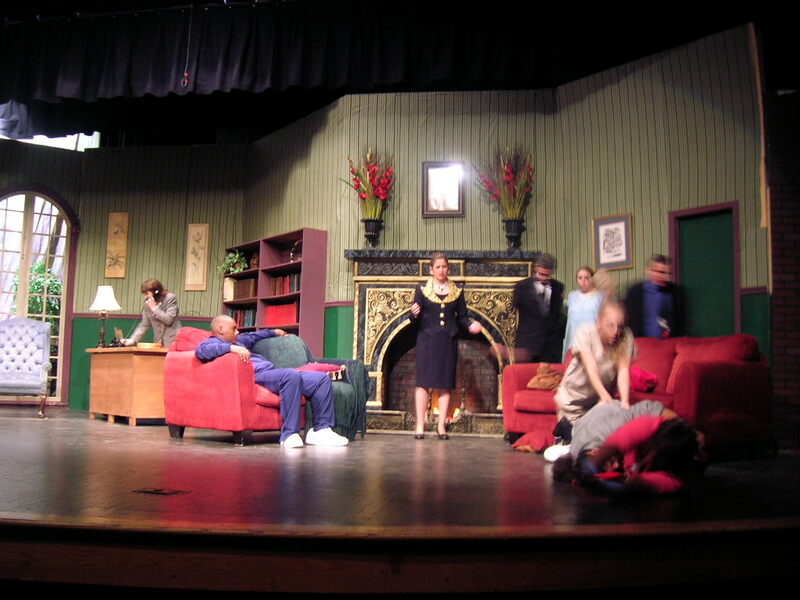 It’s a comedy, murder mystery that’s lots of fun for the whole family! You might want to bring a blanket or cushion to sit on if you can make it because your backside will get very sore sitting in the wooden seats without one! Here are some photos from last night’s show (but not so many to give away the plot). 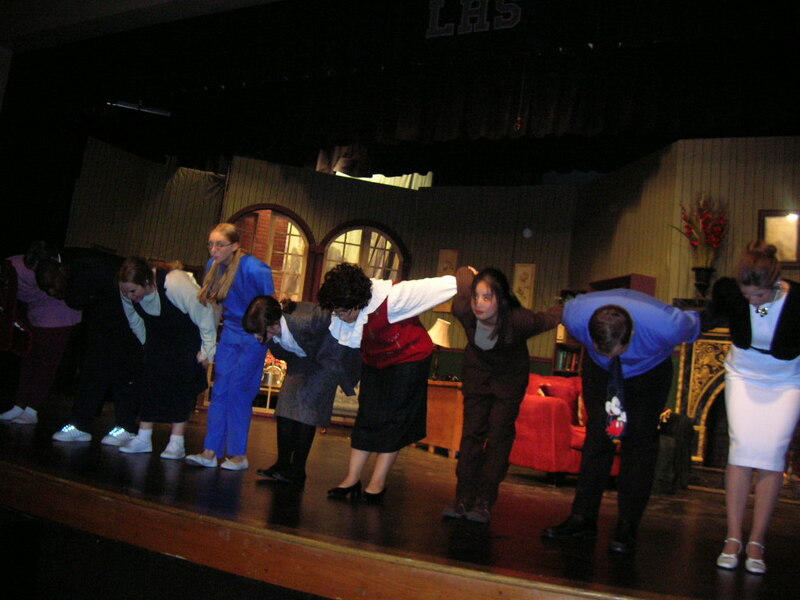 PS – Yes, my daughter is in the play. She’s Sweetpea! Keep in mind that building a wall across Hurricane Creek or a gate on Murfreesboro Road at the Davidson line is not a viable or feasible suggestion. Good luck when you actually get in office, too – little harder than you suspect, I imagine. In other city news, it appears that widening Waldron Road will cost millions more than originally planned. A second very interesting article appeared in today’s DNJ that describes why the costs are excalating and what the road could be. City officials have said they see Waldron Road as the city’s potential location for new retail establishments coming in, but that it would need to be widened before a company would locate there. The portion of Waldron Road west of Interstate 24 has seen some growth recently with the opening of a small strip mall containing a laundromat, real estate office and beauty salon. New residential developments are also being built down the road. Gwen Anthony lives off Waldron Road, and said the city’s push for retail is too late. “Smyrna came in and took care of that. When we got liquor by the drink (November 2000), all the big restaurants wanted to come here, O’Charley’s, Applebee’s, Red Lobster. They wanted to come where (the CentrePointe Distribution Park) is, but were told that land was already planned for,” she said.